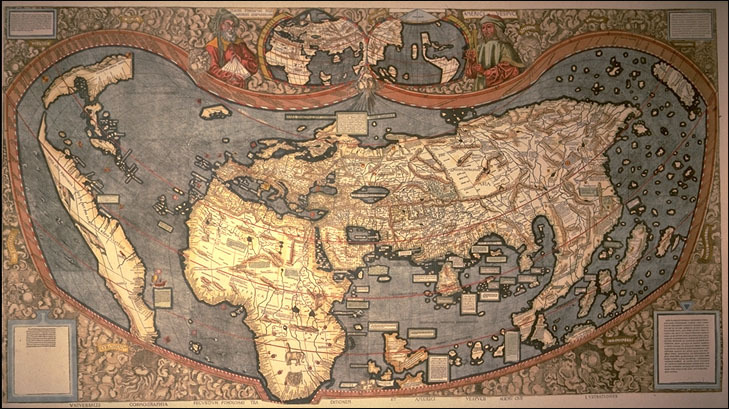 Waldseemuller maps were created in 1507 and show the findings of Christopher Columbus and Amerigo Vespucci. The findings of Christopher Columbus were in middle America and those of Amerigo Vespucci were in South America. It was the first map to show the outlines of America with the whole Pacific ocean. The creater of these maps, Martin Waldseemuller, showed that America was separate from Asia, which was different during this time.